Trust Levels in Windows Hosting: How Important Is It? Among the most important aspects of a blog or any site, online security is one of the most important concerns. It is for this reason that you must enhance the security of your site. There are lots of methods that have been devised to allow you keep the security of your site at its maximum. It is not a hard task and nor is it confusing to set the security of your site. If you are shy in the technical world, you should get your site host to assist you set the security details. You should also make an effort of knowing what the trust level is and other security features on your site to stay void of hackers online. Trust levels allow you to set the security rules of your site. They dictate to the operations an application can carry out like reading a disk, changing file permission, accessing registry and customizing system files among others. There are different trust levels, and each has a policy file associated with the exception of the Full trust. The user sets how the trust levels manage access to different aspects. You may decide to restrict access to different resources and operations that you feel are not secure. You set the <trust> feature a given trust level. The levels include full, high, medium, Low and minimal trust levels. If applications are set at full trust level, they will be able to execute arbitrary code that is native in their process of their running. However, most people feel that this comes with risks of accessing malicious codes, and its lack of a policy file makes most users avoid it. This uses most .NET Framework approvals and support trust only partially. This is mostly for applications you trust and want to have fewer user rights to reduce the risks involved. It offers same application access as the full trust level but restricts COM Interop and unmanaged code. Medium trust applications can read and write on the directories associated to them, at the same time communicate with Microsoft SQL Server. The code does not grant user rights to access ODBC or OLE DB. You should set this mostly on shared server as it allows communication to SQL server files and withholds the user rights to the root structure of the application. Though this low trust code can read its application, it cannot communicate to the database or to the network. By using this code, you allow applications to access their applications and restrict access to external resources such as system resources. Minimal trust applications code allows execution of resourcing but restricts interaction with the resources. 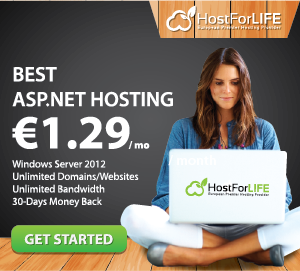 It is the best for hosting sites with a high number of websites. Your web hosting providers may offer comprehensive information when you do not understand the any of the levels. Code for full trust level gives the website masters full access to the applications offered by the web hosting provider. They can operate in their hosting account thereby utilizing all the resources irrespective of the security on the operating system. With this setting users can read and write files out of the virtual directory while at the same time they can perform a native code. In addition, if your Windows hosting package comes with Full Trust Level, you are able to use as many as hosting features without any limitation. The prohibition of access to some files on the high trust level is the main impact on your website. However, note that the risks are much reduced here. On medium ASP.NET level, users’ rights are slashed more. Users will only be able to read and write the code in its app. It is recommended for shared hosting only. The effect here is that you can only read the code on its application. The user cannot access resources or networks. Minimal trust level gives you only the right to execute code. The effect that a trust level has on your website, and your website hosting is largely determined by your website hosting and how they pool their applications. A trust level may have an effect on one website on a specific host but fail to have the same effect from a different host. However, the difference in the impacts is minimal. Many people do not know what trust level is and can then make wrong decisions while hosting their website. You can learn this from the internet and avoid problems with your web host in the future.